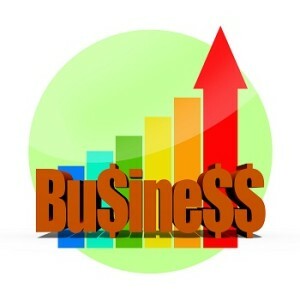 Every small business owner wants his business to grow and succeed. However, many businesses are just focusing on maintaining the status-quo and for that reason, more than any other, they are not growing. With a focus on growth, your company will grow. These tips will ensure that you propel the growth of your small business the right way. Many consumers are reluctant to do business with small, newer companies. By giving the impression that you are a larger company, you will attract more clients. You can do so by using technology such as Halloo’s business phone system, which delivers affordable professional phone services, even to companies just starting out. By maximizing the benefits of these systems and services, callers will never know how small you really are. Everything that is done in your business should have a documented system that can be duplicated by another person. This can save time on tasks that can be delegated to others and will allow others to easily cover the role in case a key individual is out unexpectedly. Your marketing plan should be created in advance for the entire year. Lead time for marketing campaigns should be built in to best take advantage of the most lucrative times of the year for your industry. Remember that this is a dynamic document that should, and will, change based on a number of factors. Depending on the technology you choose, you may have to start fresh every time you expand. This can get costly and can make growth challenging, especially if your profit margins are not where you want them to be yet. Choosing a technology that can grow with you, such as cloud-based phone services like Halloo, will let you easily add extra users as you grow. Constantly communicate with customers and potential customers via social media, your blog, newsletters and more. The more often they hear from you, the more often your business will come to mind when they need what you offer. Being able to adapt quickly to changes in technology, the marketplace, the economy, current events and anything that can affect your business is important. Being in tune with the nuances and opportunities of your industry and having the right mindset toward change can make the difference between success and failure. Make sure that the people who are looking for your type of business can easily find you. Today, that means creating a solidly-designed website that has strong SEO so that it is easy to use and ranks well in listings. Networking online and in your community is also critical to your visibility. The right team makes all the difference. While you may not be actively recruiting, have a listing of the positions you need filled as you grow on your website and be open to conversation with potential talent. You never know when the perfect candidate may come along. Track the efforts that you make in building your business. Evaluate whether those efforts are working or not. Be patient about how long results will take, but don’t be hesitant to cut off efforts that are losing money. Through regular evaluation, you can get a handle on your business before things get out of hand and identify areas of potential. Put these 9 tips to work for your business today and experience amazing growth.